Why won’t you let any refugees in? Please, help me. I want to understand. I want to think better of you than what I see. I am a middle-aged white woman near the geographic center of the North American continent who can muster only a handful of words in Arabic. My husband doesn’t have a job because corruption forced us out of Saudi Arabia. I can’t go to where the refugees are, I can’t give much, I can’t step in and help. I can’t pass out water bottles and sandwiches or offer rides to families walking through Hungary. There’s very little I can do. But I have this desk, and this blog, and because I am safely far from your anger in the middle of America, I have the freedom to write. So I will ask you again, why won’t you help? These are your brothers and sisters, Arabs, Muslims, who live only a few hundred miles away, who share your food and your history, your faith, your stories, your language. Why do they travel only north, to live among people who share none of those things? Why don’t you help them, as well? Oh, I have helped, you say, through sycophants commenting on Facebook. I’ve suspended all immigration laws for Syrians, so that those who are here for whatever reason can stay until the war is over. Syrian children who are here have access to Saudi education and healthcare. Syrian adults who are here can work without fear of breaking labor laws. 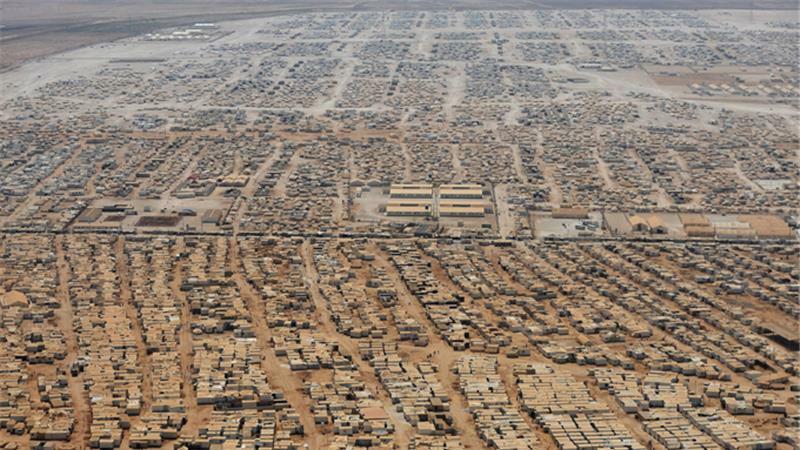 Saudi Arabia has funded refugee camps in Jordan and Turkey. All the critics are only spreading evil propaganda! But, Saudi Arabia, visitors with visas aren’t refugees. The people streaming out of their ruined homes and destroyed towns, with their children in their arms, can’t get visas. It’s maddening enough to get a visa to enter Saudi Arabia when all the organs of one’s own government are working properly. 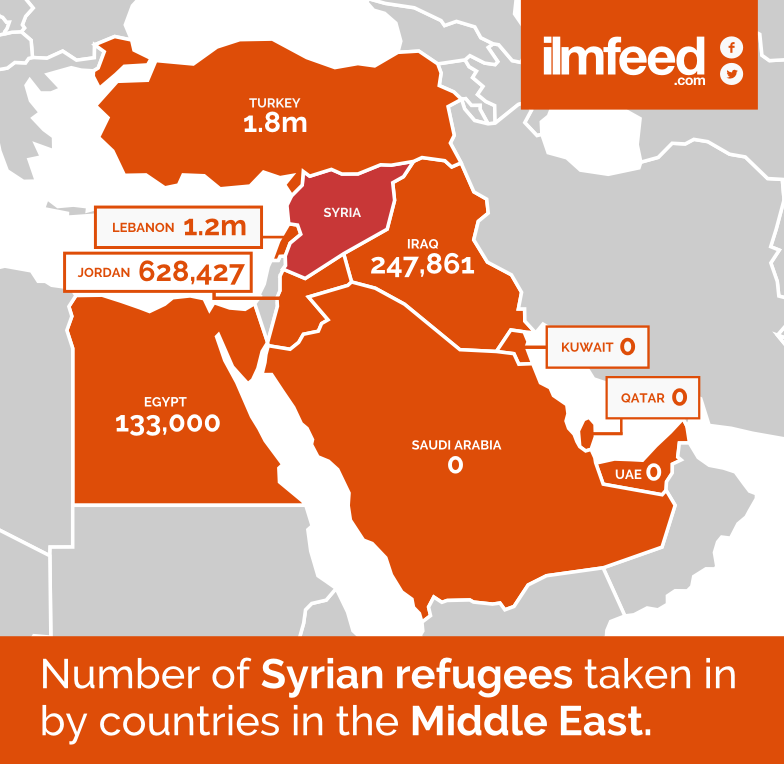 No, no more than a fortunate, incidental handful of Syrians are currently in Saudi Arabia. And as for funding camps on others’ soil, it only says that you would rather write a check than wipe a brow. As is so often the case, you pay someone else to do work you would rather not. And your checks are far from sufficient to meet the need. According to Maya Angelou (and I adamantly agree), “When people show you who they are, believe them.” I know it can be hard to see yourself as others do. I have seen you become angry when people judge your actions unfavorably, claiming they don’t understand. But in the great web of human interaction it doesn’t matter what you mean. It only matters what you do. Would it help you see yourself more clearly if I explain what I see you do, and what your actions say? I see a King closing an entire beach in France for his private vacation as refugees press north through the Balkans seeking help in Europe. I see your own sons, their powers of reason shaped by the education you gave them, going to Syria against your stated wishes to kill and to destroy the homes of people you then refuse to shelter. I see you indignant that the United States refused to engage in fighting in which you never considered participating yourself, and whose victims you point to as evidence of others’ failures. I see you borrowing money as the price of oil falls, yet I see Saudi riyals still flowing to India, Pakistan, Bangladesh, Nepal, Indonesia to pay foreign workers to clean Saudi floors and Saudi streets and build Saudi buildings and cook Saudi food and care for Saudi children. Meanwhile, Syrian families live on dirt floors, and have no streets or buildings and barely enough food, and fear for their children’s lives. And here’s what your actions tell me: You are motivated more by love of comfort and fear of losing it than by love for your brothers. You are afraid that people who rose up against unjust government might upset your own population, which you have trained to be docile. You are afraid that if you admit refugees, you must open the door to aid workers, to UNICEF, to the Red Crescent, to Doctors Without Boarders, to the UN High Commission for Refugees, and you fear these people will destabilize the order you’ve built, as well. You would rather maintain your walls than open the door without knowing what might come in. Am I wrong? Do I misunderstand? Please. Help me know what I have missed. Tell me you are better than this. Your brothers and sisters are suffering, hardly a stone’s throw away. They’re not fleeing north because they see an opportunity to take a European vacation they haven’t had before. They aren’t reckless and greedy for European wealth, jumping into leaky boats because they’re too ignorant to recognize the danger. But the Syrians don’t have to put their children in boats. Hundreds of thousands have already walked to Jordan–a poor country, which opened its arms anyway. Why can they not keep traveling to Saudi Arabia? You have room. This city is empty. They’re in terrible repair, but only because no one has maintained them since the last families moved out fifty years ago. Homeowners can’t be bothered to maintain the buildings now, but they can be repaired again. 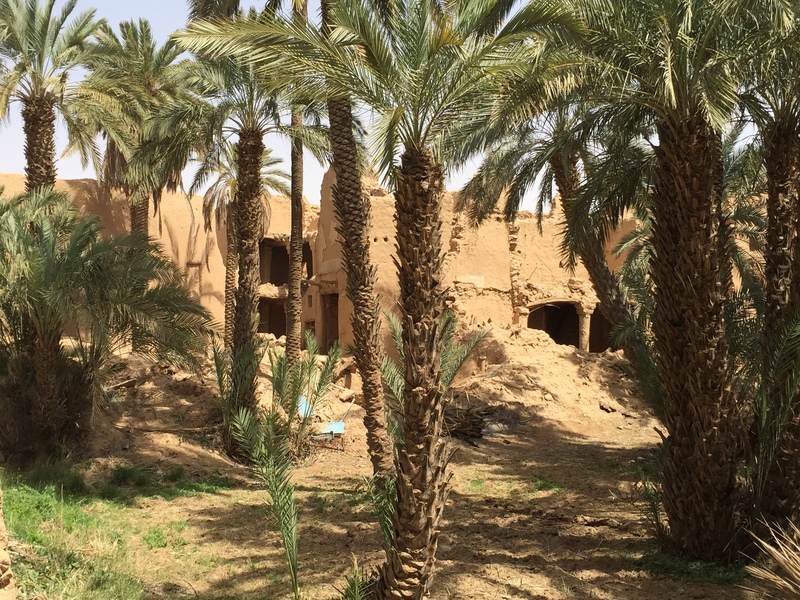 They provided shade and privacy and cool breezes and protection for generations of Arabian families. And those cities are certainly better than this one. And in your villages, it’s quiet at night. There are no bombs, no gunfire. Perhaps, instead of useless silence, these walls could once again echo the sounds of children laughing, or the grunt of an old man stubbing his toe as he stumbles out of bed to use the toilet. The voices of women talking. The call to prayer. Yes, this is a defining moment for Europe. It is a defining moment for humanity. And it is most certainly a defining moment for Arabia. You are being defined by what you do, not by what you say or feel or wish. Don’t fail. Or perhaps more accurately, stop failing. *The lines of poetry are excerpted from the poem “Home,” by Warsan Shire. The complete poem is brilliant and heartbreaking. Read the text here or here (the text is slightly different on the different sites), or hear her read it here. Thank you, and it’s so wonderful to hear from you! Thank you very kindly for taking the time to write! So many of us have the same questions. I was shocked when I heard a report that the Saudi King suggested that there was a “Great danger to the balance of power in the Middle East if the United States doesn’t do something!” – Really?! Would that not be much like suggesting that the Saudis must do something immediately about our Southwest borders? Incredulous! There’s a definite mindset in the Middle East that the U.S. is supposed to take care of things. The U.S., too interested in maintaining its interests to let regional players sort things out for themselves, has done a lot to enable it. So now we’re all reaping the long-term fruit of what we sowed only caring about the present. And feeding it to children. This situation is so painful, but perhaps we’re dreaming to imagine it was preventable. Thank you so much for writing. some stories untold there should be someone to talk on behalf of these countries who are not accepting refugees, i have several Syrians working with my place with good salaries ,and also my neighborhood as well , they don’t like to live even want to get some liberal lyfe and Europe and planning to take benefit from current crisis .I DON’T KNOW WHY .Another Sad thing i heard they have been supported by governments even they keep their parents and close family members with them , and government will give them residence . Charm about Europe is they dont need to come back ever , but if they stay here at they end they have to go back to their homeland , they will not get permanent residences here and along with strict sharia laws they prefer to go to Europe ! Correct, correct, and correct. Thank you for taking the time to write. Because Saudi Arabia is closed, no one entering the country has any hope of providing a permanent home for his family. As long as there are places where that hope does exist, of course people prefer that! But they’ll take safety and work first, then hope for something better. For now, Gulf states could at least offer shelter, but choose not to. In the long term, Saudi Arabia needs to look at its soul and decide what matters. In a market economy, supply flows toward demand. Saudi Arabia has a demand for workers, and workers come to meet that demand. But nobody has a demand for refugees. Some countries decide to take in refugees because they’ve decided that in their collective national soul, their humanitarian concern is greater than their financial concern. So far, Saudi Arabia is not one of those countries. Yes, trying to be old and new at the same time is an effort that can only end badly. The two worlds will only get farther and farther apart. Thank you for writing! It is very sad if for the sake of religion one can’t be humane. Does their “other” help extend to supporting refugees in their new, strange, often unwelcoming European homes? Helping them learn new languages and fit into a foreign culture? Or is it just to send money to address the immediate crisis and then leave the long-term problems to others? Saudi Arabia has taken in about 2.5 million Syrians since the conflict began, the Saudi Press Agency quoted an official at the Foreign Ministry as saying. I’m no mathematics whiz, but I can manage a little critical thinking. According to this article in the Saudi Gazette from a year ago, the entire expatriate population in Saudi Arabia is 9.6 million. So if this 2.5 million figure that no one has heard of before, now being announced after weeks of silent acceptance of the 500,000 figure, is to be believed, it means that 25% of foreigners in the country are Syrian. ONE OUT OF EVERY FOUR. Come now. More than Indians. More than Pakistanis and Bangladeshis and Egyptians. More than all the Filipinos, Indonesians, and Yemenis COMBINED. According to the SG article, 85% of foreigners come from 8 countries, and none of them are Syria. Well, my, my, my. What an astonishing turnaround in one year. Oh, and by the way, it also means that just under 10% of the total population of Saudi Arabia is Syrian. One in ten. You bet. You want more? The statement also says that 100,000 Syrian children are enrolled in Saudi schools. According to the latest data I could find (2007) 4 million students were enrolled in Saudi schools, which was about 25% of the total national population at the time. It seems reasonable to assume that the percentages are representative, which means the purported 2.5 million Syrian refugees should produce 625,000 schoolchildren. Oops. These “refugees” are clearly not families. So no. 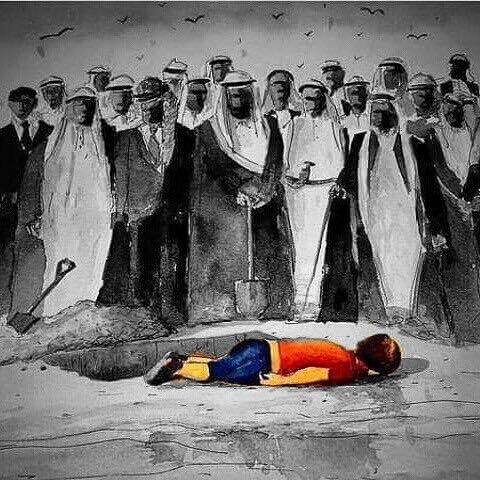 Saudi Arabia does not have 2.5 million Syrian refugees within its borders. I have no idea where that figure comes from, and what kind of tortured definitions or counts were required to arrive at that number. Or whether somebody just said it, enough people wanted to believe it, and it became official. I’m going to need a lot more convincing. Thank you for providing the complete text–it will be very good to have it here. Yes, it clearly identifies “those who wish to remain” from among the 2.5 million who have passed through the country as the only ones who are still in the country. No more than the “some hundreds of thousands” mentioned in the statement are currently in the country, and they’re still only those who entered on visas and have stayed. The human trafficking is horrifying, but desperate people turn to men who care nothing for anyone but themselves. I love Saudi Arabia. I love the good, warm, generous people in every corner. I have written as someone who wants to tell a friend that what he’s doing is making him look bad. I hold out hope that your government will find a way to do more. I pray mine will as well. We are brothers and sisters, children of one God, and we need each others’ love. here comes the official statement now ! The Kingdom of #SaudiArabia does not intend to speak about its efforts to support #Syrian brothers and sisters, during their distress, as it has, since the beginning of the problem, dealt with the situation from a religious and humane perspective, and did not wish to boast about its efforts or attempt to gain media coverage, an official source of the Ministry of Foreign Affairs said, adding that media reports have contained erroneous and misleading information, and the Kingdom now considers it important to discuss its efforts with appropriate facts and figures. 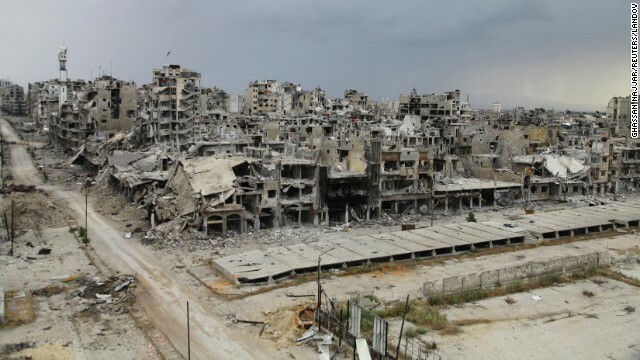 1.The Kingdom has received around 2.5 million Syrians since the beginning of the conflict. In order to ensure their dignity and safety, the Kingdom adopted a policy that does not treat them as refugees or place them in refugee camps. 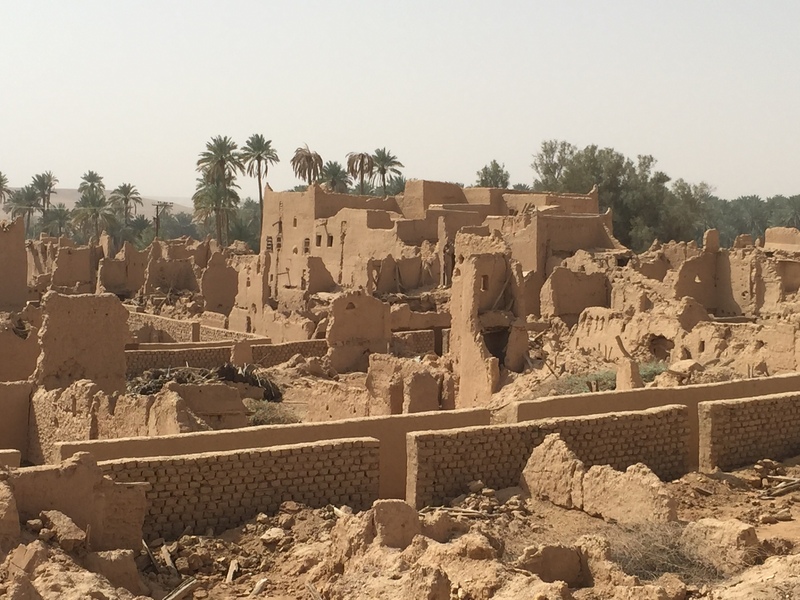 They have been given the freedom to move about the country and those who wish to remain in Saudi Arabia (some hundreds of thousands) have been given legal residency status like the remaining residents. ‌ Their residency comes with the rights to receive free medical care, to join the labor market and to attend schools and universities. This was contained in a royal decree in 2012 that instructed public schools to accept Syrian students. According to government statistics, the public school system has accepted more than 100,000 Syrian students. 2.The Kingdom’s efforts were not limited to accepting our Syrian brothers and sisters after their crisis; it also extended its efforts to support and care for millions of Syrian refugees in neighboring countries such as Jordan, Lebanon and others. Efforts included providing them with humanitarian assistance, in coordination with the host governments and with international human aid organizations. Aid was provided, in cash and kind. 3.The aid provided by Saudi Arabia to the Syrian people totals around $700 million, according to the statistics of the Third International Humanitarian Pledging Conference for Syria, which took place in Kuwait on March 31, 2015. Government aid and aid provided by the National Campaign, are included in that number. 4.Humanitarian aid provided to Syrians by the Kingdom consisted of food, medical, academic, residential supplies and included the establishment of Saudi specialized clinics in refugee camps, especially at Zaatari Camp in Jordan. 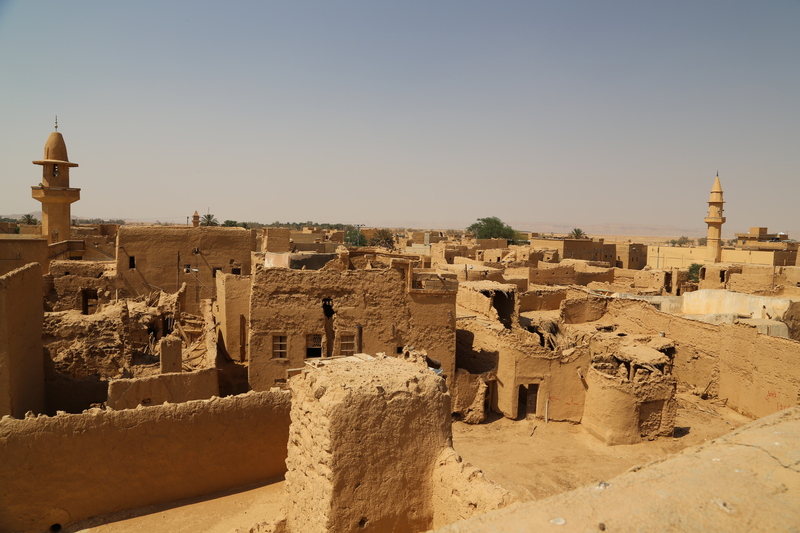 The Kingdom was able to provide medical care in the form of immunization, preventive treatment and medical procedures. In addition, Saudi Arabia sponsored a large number of Syrian families living in Lebanon and Syria (specifically, through paying for their rent and living costs). The ministry official concluded by stating that: It is apparent from the previous facts, that the Kingdom of Saudi Arabia will remain a leader among other countries supporting Syrian people and it is impossible to outbid its efforts in this matter, or to question its position in any way or form, the statement concluded. Hello Foreign Girl, I have been reading your blog for a while, always informative, fun and on the mark. Sorry to hear you have left the region but glad your still writing. I know what you mean, still do what i can to help in Jordan & Lebanon, the expat community here have been a wonderful support, You can see phots & some info on Facebook at Nowell’s Mission i hope you LIKE it. This is WONDERFUL! I’m so glad you wrote, and I’d love to hear more about how things are going for you. I’m thrilled to be able to pass this link along.